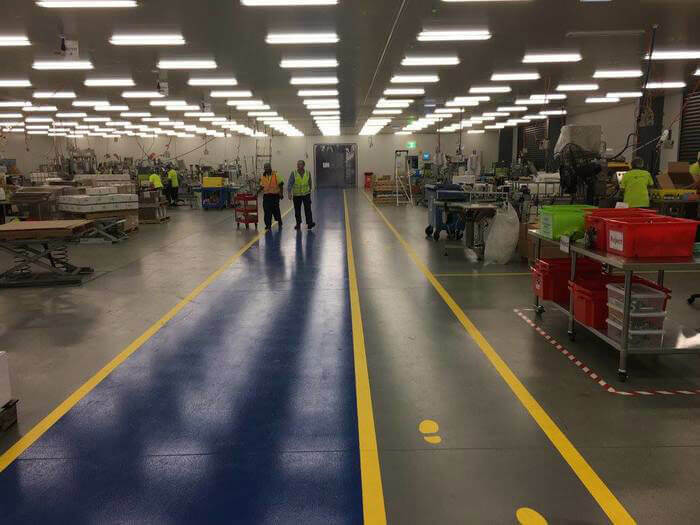 An organization is nothing without its workers. 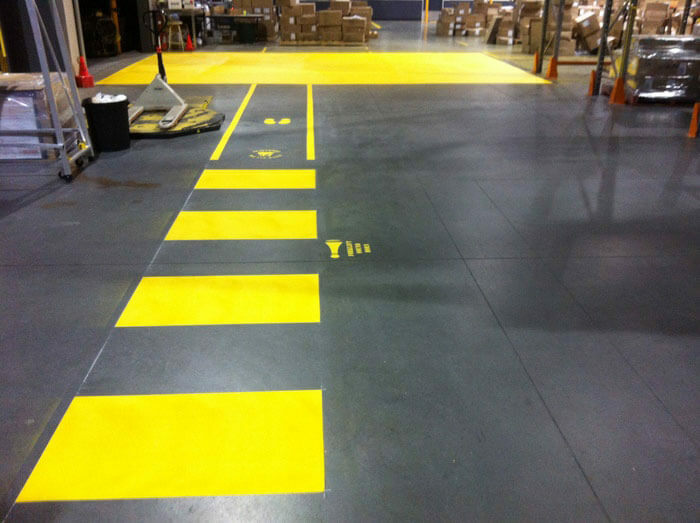 Therefore, worker safety should be an organization's top priority. 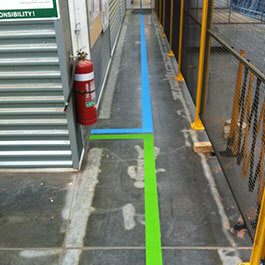 Well-maintained and clear safety line marking is one of the most important items to keep workers safe. 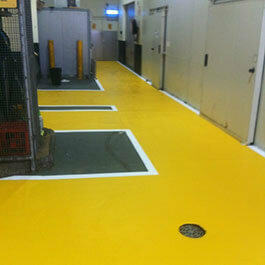 It is also a key area that Work Safe will look at to ensure your organization is keeping its workers safe! 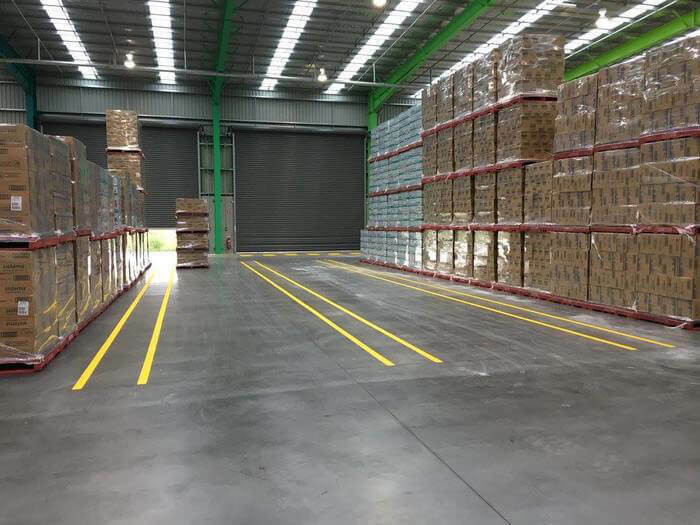 DON'T RISK IT! 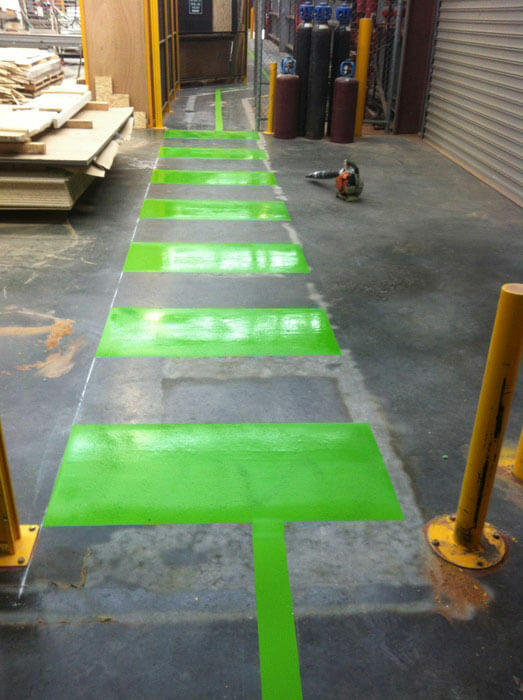 Keep your line marking fresh and bright! 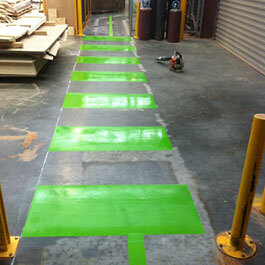 South East Line Marking specializes in factory and OH&S line marking. 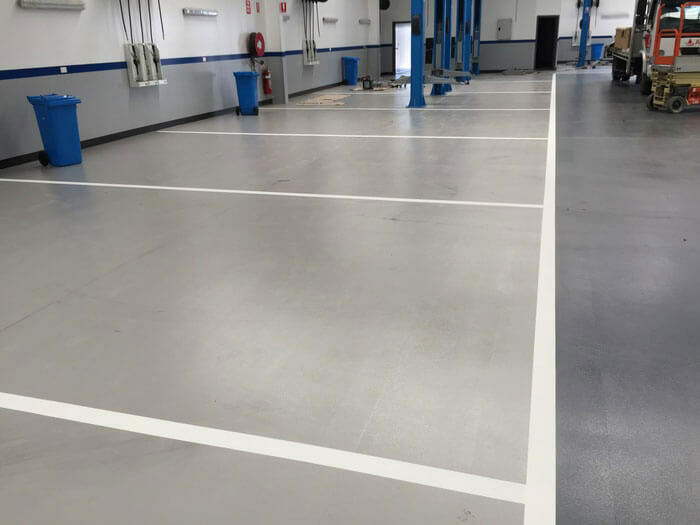 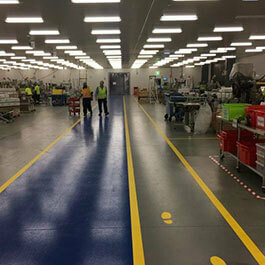 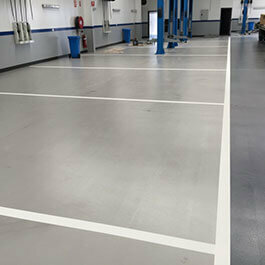 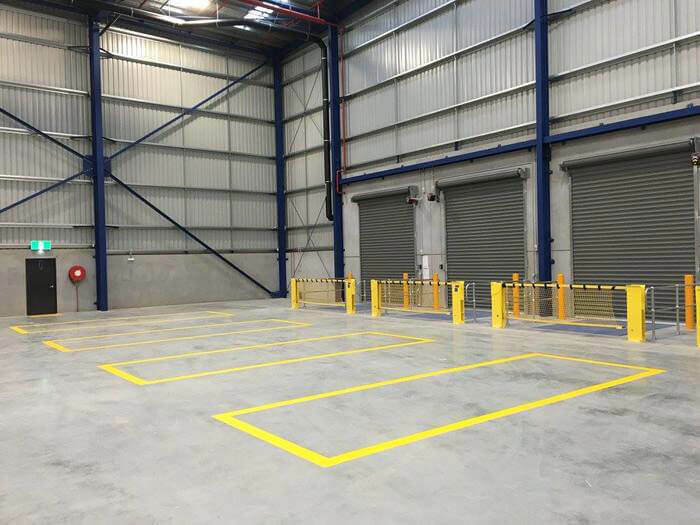 We have worked with hundreds of business all over Melbourne and maintained an impeccable reputation for carrying out flawless and long lasting factory line marking. 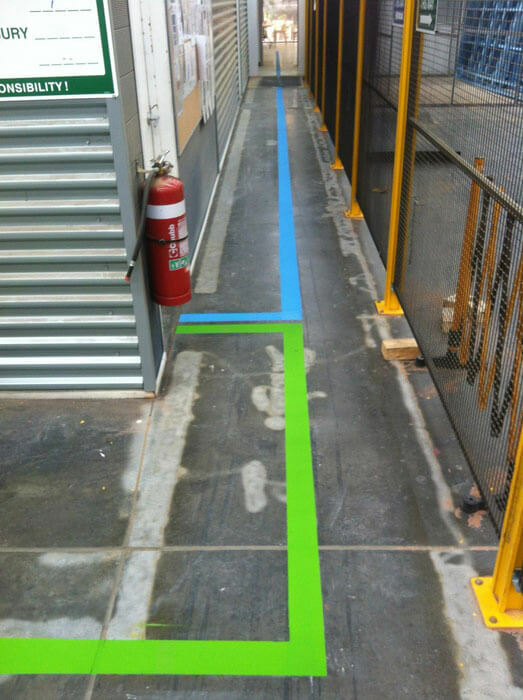 We have many repeat customers who are not only happy to continue to use us for ongoing line marking work, but also refer us onto other businesses. 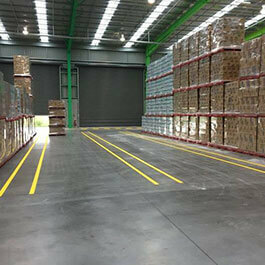 No two jobs are the same and we are adaptable. 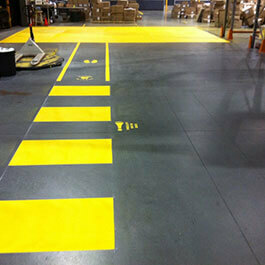 We are able to manufacture custom stencils for logos and also lettering. 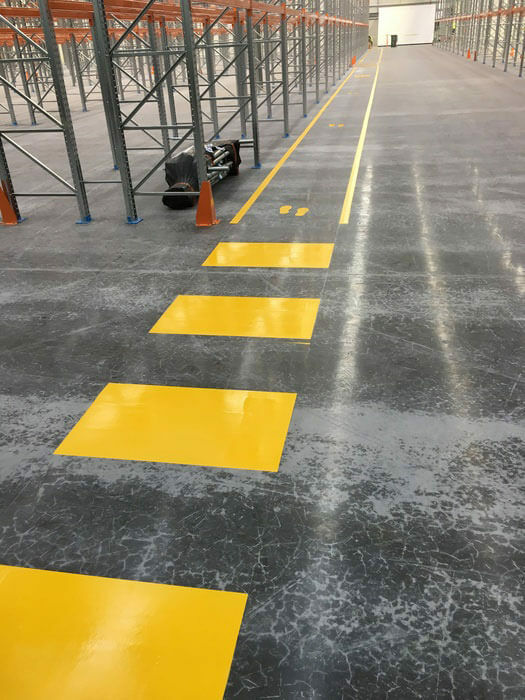 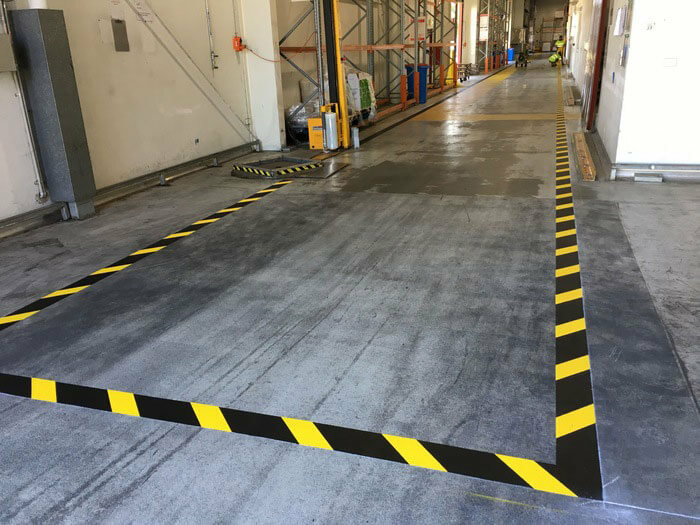 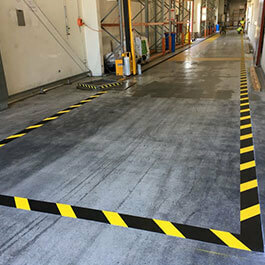 We have carried out line marking for many factories and warehouses and have the ability to carry out any line marking job no matter how "unique". 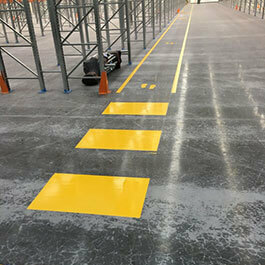 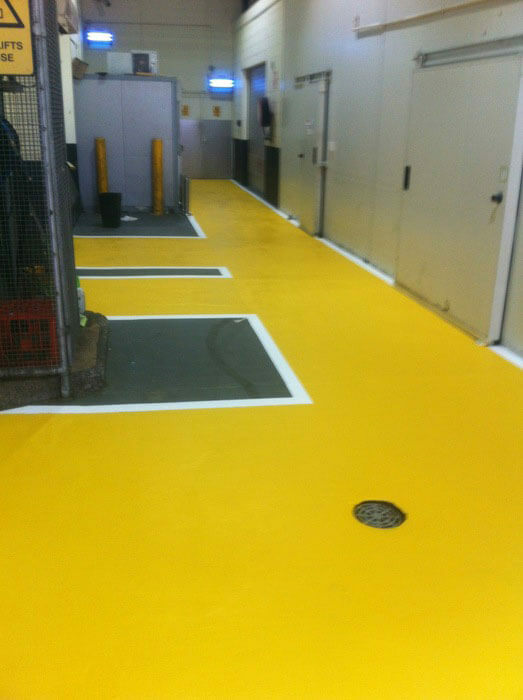 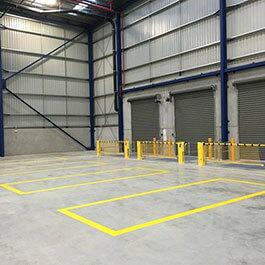 Contact us to arrange a no-obligation quote for your factory and OH&S line marking.